This book presents the analytic foundations to the theory of the hypoelliptic Laplacian. The hypoelliptic Laplacian, a second-order operator acting on the cotangent bundle of a compact manifold, is supposed to interpolate between the classical Laplacian and the geodesic flow. Jean-Michel Bismut and Gilles Lebeau establish the basic functional analytic properties of this operator, which is also studied from the perspective of local index theory and analytic torsion. The book shows that the hypoelliptic Laplacian provides a geometric version of the Fokker-Planck equations. The authors give the proper functional analytic setting in order to study this operator and develop a pseudodifferential calculus, which provides estimates on the hypoelliptic Laplacian's resolvent. When the deformation parameter tends to zero, the hypoelliptic Laplacian converges to the standard Hodge Laplacian of the base by a collapsing argument in which the fibers of the cotangent bundle collapse to a point. For the local index theory, small time asymptotics for the supertrace of the associated heat kernel are obtained. 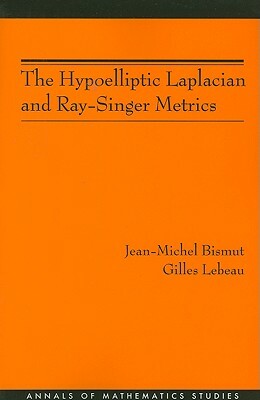 The Ray-Singer analytic torsion of the hypoelliptic Laplacian as well as the associated Ray-Singer metrics on the determinant of the cohomology are studied in an equivariant setting, resulting in a key comparison formula between the elliptic and hypoelliptic analytic torsions.